There are three versions of Samsung Galaxy S4 Mini that we gonna give you their basic tutorial, though, the real deal, actually only two version. The Galaxy S4 Mini GT-I9195 and GT-I9190 have the same basic tutorial. It because the difference between these two only a matter of 4G LTE supports (which belong to I9195). 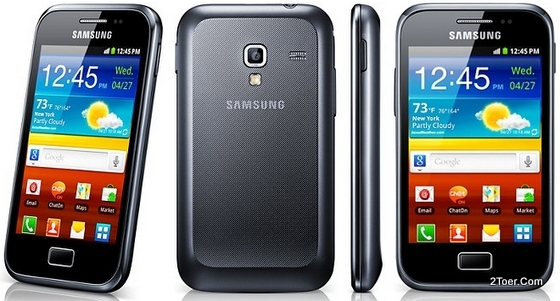 But for Galaxy S4 Mini GT-I9192, this version has one difference: It supports dual SIM cards (GSM). Which means this I9192 has different tutorial on inserting its dual (two) SIM card; in comparison to the single SIM of I9190 and I9195. 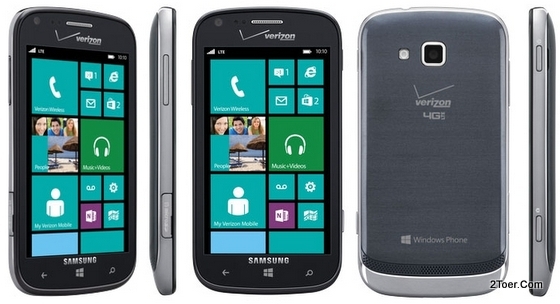 Samsung Galaxy S4 Mini comes with 4.3 inches Super AMOLED display with qHD 540 x 960 pixels resolution. It polished with Corning Gorilla Glass. Runs on Android Jelly Bean version 4.2.2, the Galaxy S4 Mini has 1.5GB RAM with 8GB internal memory (5GB user memory available). It's powered by dual-core 1.7GHz Krait with Adreno 305 GPU and Qualcomm MSM8930 Snapdragon 400 Chipset. It has dual camera: 8MP and 1.9MP. Samsung Galaxy S4 Zoom has high resolution of Camera at 16 Megapixels, even has Xenon flash and uses 1/2.33" sensor size. It's equipped with 10x optical zoom equals to 24-240mm camera lens. The most promising part on this Camera device is that it not merely a camera but also a Smartphone. Yes, Samsung Galaxy S4 Zoom SM-C101 (known also as SM-C1010) can be used as ordinary smartphone that runs on Jelly Bean v4.2.2 Android Operating System. It has 8GB internal memory with 5GB user available. This Camera-Smartphone is also powered with dual-core 1.5GHz Cortex-A9 processor, Pega-Dual +XMM6262 chipset and Mali-400GPU along with 1.5GB RAM. The touchscreen comes with 4.3-inch Super AMOLED capacitive and protected with Corning Gorilla Glass 3. Like many other Smartphone, Galaxy S4 Zoom has many connectivity features including GSM networks supports UMTS HSDPA up to 21.1 Mbps (which means has a SIM card, uses micro-SIM), Bluetooth, Wi-Fi, USB connection and even NFC. Samsung Galaxy S4 GT-I9500 (and many others series names) is the flag-ship of Samsung's smartphone product of this year (2013). Officially released on April 2013, this phone had already achieved the highest smartphone that Samsung could sold in the recent years. Galaxy S4 comes with HD 1080 x 1820 pixels resolution on 5.0-inches Super Amoled capacitive touchscreen. It has about 441 ppi pixel density which means the display absolutely smooth and sharp. Runs on Android Jelly Bean v4.2.2 the Samsung Galaxy S4 is also powered with quad core 1.6GHz Cortex-A5 (some other version uses quad-core 1.2GHz Cortex-A7), along with Exynos 5 Octa 5410 chipset and PowerVR SGZ 544MP3 GPU. You can choose 3 difference internal memory storage: 16/32/64GB. 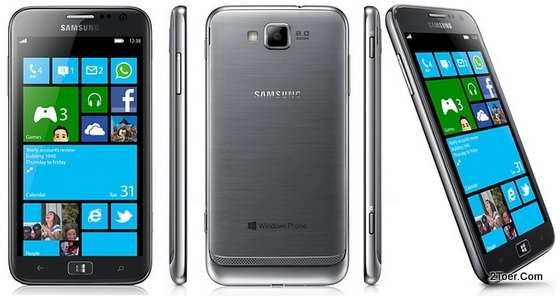 The GT-I9500 has 2GB RAM and support up to 64GB microSD card. There is 13 Megapixel rear camera accompanied by 2MP on the front. Note: You can use this tutorial for others version of Galaxy S4 such as SGS4 GT-I9505, SHV-E300K/L/S, SGH-I337 for AT&T, SGH-M919 for T-Mobile, SCH-I545 for Verizon, SPH-L720 for Sprint, SCH-R970 for US Cellular, GT-I9508, SGH-N045, SCH-I959, and GT-I9502. Samsung Galaxy Mega comes with 6.3-inch display screen. It seems this large display is the reason why it called as "Mega". By this 6.3" it also means that this smartphone is closer to the tablet size. We can called as tablet-smartphone. In US, the Galaxy Mega available (at this time) with AT&T Carrier, named as SGH-I527. On the Global market, this phone known as GT-I9205 / GT-I9200. The display uses SC-LCD (Super Clear LCD) capacitive touchscreen with HD 720 x 1280 pixels resolution with 16M colors. Galaxy Mega GT-I9205/GT-I9200 has two differents version on the matter of internal memory: 8GB and 16GB. It has external slot for up to 64GB. The Galaxy Mega runs on Android OS, version 4.2.2 Jelly Bean version and runs on Qualcomm Snapdragon 400 Chipset with dual-core 1.7GHz Krai processor and Adreno 305 GPU. It has 1.5GB RAM. Samsung Galaxy W GT-I8150 is an Android smartphone with 3.7-inch touchscreen display and uses touch-bar form factor design. The W letter on Galaxy W refer to the word, Wonder. That's why this phone also known as Samsung Galaxy Wonder. The display uses TFT capacitive at 480 x 800 pixels resolution. This phone has 114.7 grams weight or about 4.02 ounces. 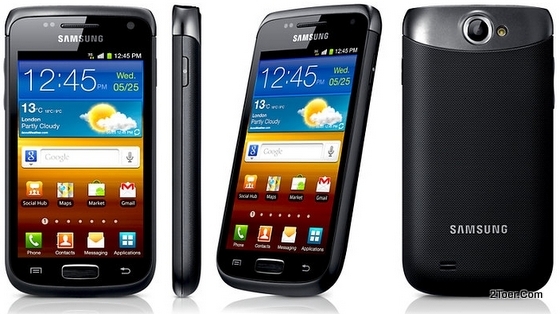 The Android OS uses on Galaxy W is Gingerbread version 2.3.5. There is no current official upgrade for this phone. As for the Processor /CPU, the Wonder is attached with 1.4GHz Scorpion and accompanied by Adreno 205 GPU and Qualcomm MSM8255T Snapdragon chipset. There is 5Megapixel main-rear camera and also has VGA front camera. It has 1.7GH internal storage with 2GB ROM and 512MB RAM. In Europe, you might only knew this phone called as Samsung Galaxy Europa, but it's actually has at least another 3 names just for this GT-I5500. You might found it as Samsung Corby , Samsung Galaxy 5 or just Samsung Galaxy 550. 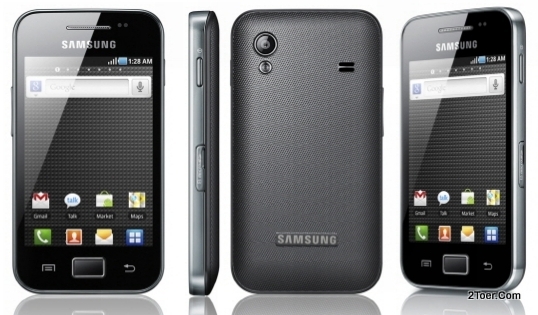 Those names all refer to the same device: The 2.8-inch small touch-bar Samsung Galaxy Europa GT-I5500. 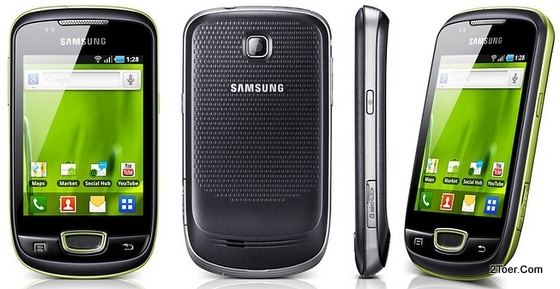 If you are having big thumbs or big tip of fingers, this Samsung Galaxy Mini GT-S5570 isn't a gadget for your need. This because this device only has 3.14 inches touchscreen display which will make you hard to type in on-screen keyboard, especially the qwerty. But it's up to you. The youngster or teenager shouldn't have a problem on using this phone, though. The phone powered by Android Froyo OS (on the first released at January 2011), but upgrade-able to Gingerbread OS. The phone uses 600MH ARMv6 processor with 384MB RAM. The internal memory only has 160MB but there is an external microSD card slot. 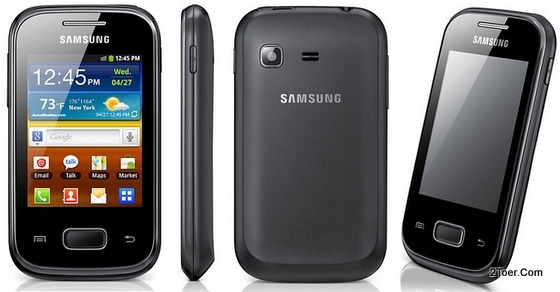 You might noticed that on some regions, this Galaxy Mini also known as Samsung Galaxy Pop or Samsung T-Mobile Move. Therefore the tutorial that we give you below also applied for both of those gadget. You want to know the main features that make this phone quite popular among middle-class lever of smartphone? 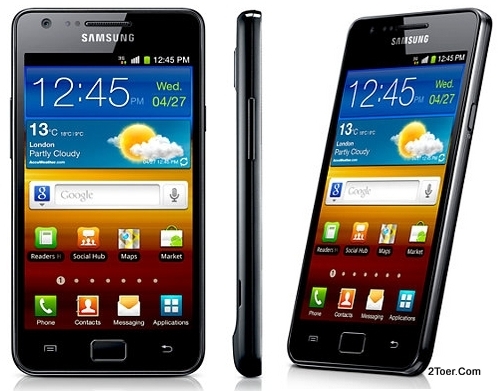 Here are some of the features that Samsung Galaxy Ace Plus GT-S7500: 3.65 inches touchscreen display, 1GH Cortex A5 CPU, 512MB RAM, and 5 megapixel camera. Weighing 115 grams, Galaxy Ace Plus uses removable Li-ion battery with 1300 mAh capacity. If you are a kind of person who love to download games and recording videos, this phone memory 3GB must be not enough. Therefore you need to be ready on using external memory with microSD card. It's up to 32GB. Using 1GHz processor, Qualcomm MSM7227A Snapdragon chipset, Adreno 200 GPU, Android Gingerbread v2.3 (upgradable to Jelly Bean v4.1), somehow can be conclude that its just an upgrade from Galaxy Ace. Just compare the specs of both the Ace Plus and Ace if you want to make sure on what we'd judged about this phone. 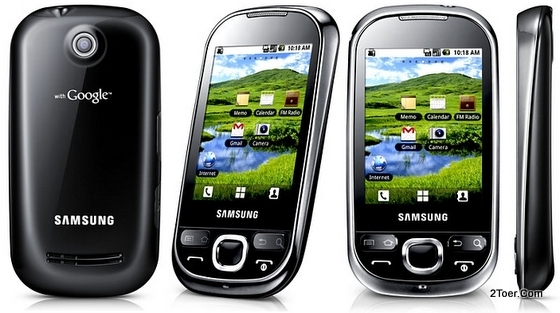 Why this Samsung Galaxy GT I8530 called as Galaxy Beam? The answer for this question is the features on the device that has an ability to be used as nHD projector. It's like you beam video, presentation, or image to the screen just like the way you use the physical conventional projector. The smartphone-projector can be used to categories this Samsung Galaxy Beam, and indeed, this is the first device that has this unique capability. 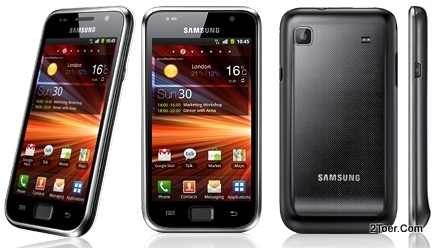 Samsung Galaxy Beam runs on Android Gingerbread version 2.3.6 and powered by 2000 mAh Li-ion battery on dual-core 1GHz Cortex A9 CPU. It uses 768MB RAM along with NovaThor U8500 chipset and Mali-400 GPU. You can use the device just like you own your personal mobile phone: calling, SMS, and even data network connectivity such as Wi-Fi and 3G HSDPA. The phone is touchbar form factor design with 4.0-inch TFT capacitive display. It support for 32GB external microSD card for expandable storage if you still not enough the 8GB internal memory installed on the phone.